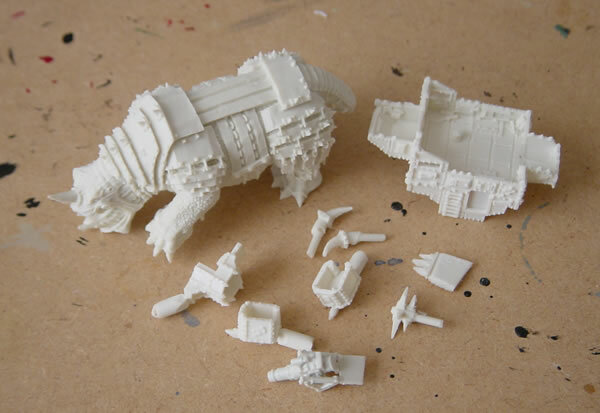 Forgeworld have produced an epic version of their excellent giant Ork Squiggoth. Costing £15 it is a lovely model and very well detailed and in my opinion good value for money. The model has quite a few parts. 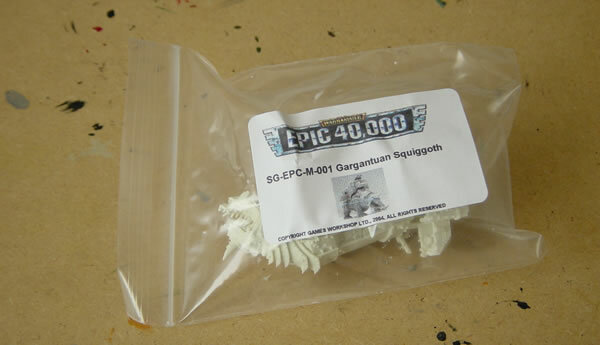 As you can see it is significantly larger than the metal Epic40K Squiggoth. 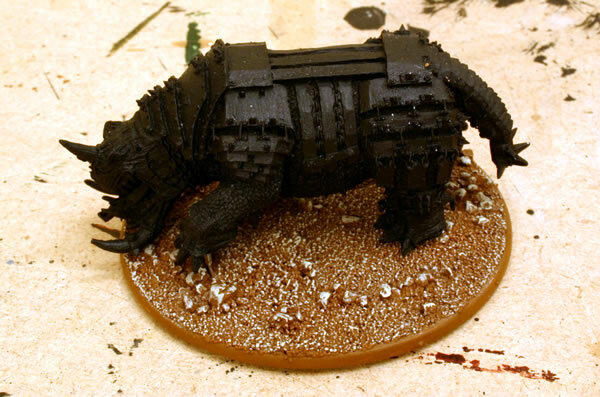 At the moment I am not sure if I am going to give it a white undercoat or a black one. In the end I went for a black undercoat. The model fits nicely on a 60mm base which I have given the same basing treatment as my Junkatrukks. With a future model I may paint the armour panels in a similar style to my Junkatrukks but with this model I am going down the dirty rusty armour style. 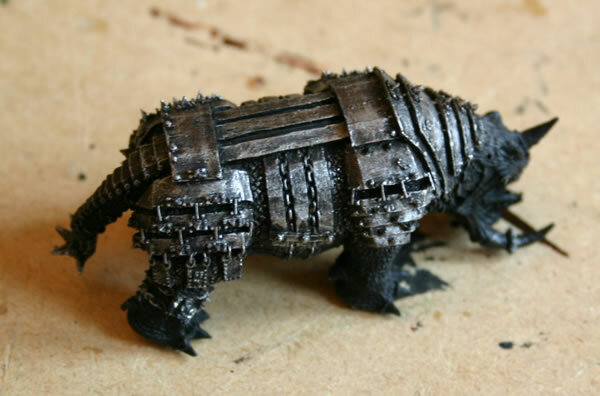 The black painted armour was drybrushed with Tin Bitz and then a lighter drybrush of Boltgun Metal. 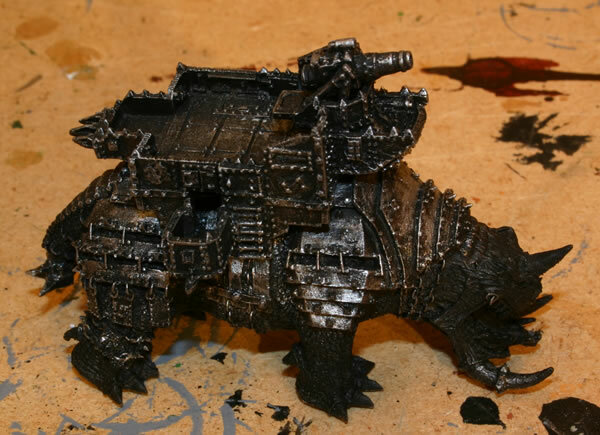 Here is the Squiggoth with its howdah on its back. Next stage is to do the skin of the Squiggoth.